American Blues musician Otis Rush at the Petrillo Band Shell, Chicago, Illinois, June 3, 1995. Blues legend Otis Rush, whose unique style of soloing and powerful tenor voice helped shape the Chicago blues sound and deeply influenced a generation of blues and rock musicians, died Saturday of complications from a stroke he suffered in 2003. He was 84 years old. Rush perhaps wasn't as widely known as B.B. King or Albert King. But his guitar and vocal work had a huge impact on guitar legends including Buddy Guy, Jimmy Page, Eric Clapton and Stevie Ray Vaughn, who named his band after Rush's late 1950s hit "Double Trouble." "The stuff I grew up on was all on the Cobra (Records), you know. You know 'Double Trouble' and 'I Can't Quit You, Baby,'" Clapton said after a 2014 interview. He said he puts Rush in the same category as other pioneering blues greats who shaped his own blues playing. "At the time that I was growing up, there was a handful of people who'd made that kind of mark: Freddie King. Buddy Guy. B.B. King. Otis Rush. Magic Sam. So Otis: Fantastic. Great player," Clapton said. Born in Philadelphia, Mississippi, Otis Rush moved to Chicago in the late 1940s and quickly began to make a name for himself playing in South and West side clubs. He helped define a distinctive West Side Chicago sound that had a more fluid, jazzy style than the raw playing of the South Side. Rush played left handed with his guitars strung with the low E string at the bottom and the high E on top. He'd sometimes put his little finger under the low E which helped him bend notes in ways few other blues men did. "He got the sound that nobody else got," Clapton told NPR. "And there was something about that upside down style of playing like Stevie Ray has - or had. You can't do that if you're right handed. You can't make the guitar do the things that they were able to do. And Otis had that voice, too. I mean, just a powerful voice." Fellow Chicago blues great Buddy Guy credits Rush with giving him his start. "This young man told me he said 'Buddy come up, I don't know who you are, come on up and play some blues.' And that was a long time ago, and I never will forget him for giving me that shot" Guy said at a 1990 concert with Rush. But Rush never became as famous or well-known as Guy. "He preferred to go out and play and go back and sleep in his own bed," Rush's longtime manager, Rick Bates, told the Associated Press. "He was not a show business guy." Rush once told an interviewer he regretted "not being a great big star." But he influenced a generation of blues and rock greats and was certainly a big star to blues fans. He won a Grammy for Best Traditional Blues Recording in 1999 for "Any Place I'm Going," and he was inducted into the Blues Foundation Hall of Fame in 1984. One of Rush's hits was "I Can't Quit You, Baby," written by his friend and fellow blues great Willie Dixon. It reached number six on the Billboard R&B chart in 1956. It was covered by many, including Led Zeppelin on their hugely influential 1969 debut album. Zeppelin's interpretation of a blues classic introduced Rush's sound to a new generation of rock ears. 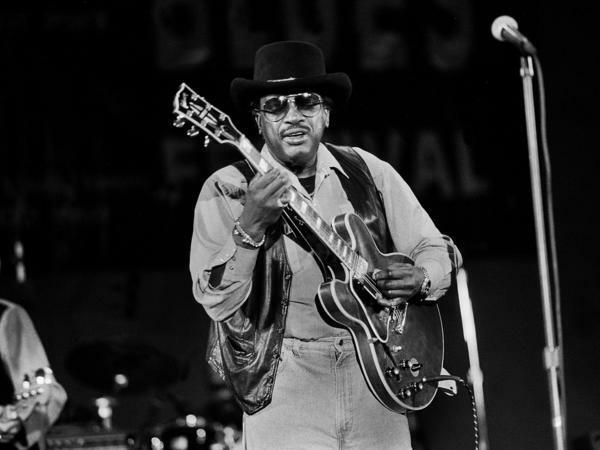 Otis Rush continued to play and tour throughout the 1990s and into early 2000. But he suffered a serious stroke in 2003 and never took the stage again.